David Rossi is only the sixth director of the chorus in its 75 years of existence, succeeding John H. Nethaway, who retired after 30 years of service. Besides his teaching experiences, Rossi has been music director of the Choraliers of St. Clare’s in Schenectady since 2004 and of the Clifton Park Community Chorus the past year. He is also choir director and organist at Our Lady of Mount Carmel and Christ the King Church, a position he has held since 2003. Rossi is currently teaching in the Schenectady City Schools. His teaching career has included stints at Germantown, Notre Dame-Bishop Gibbons High School in Schenectady and St. Brigid’s Regional Catholic School. He also served as a substitute teacher at Sidney Central for several years. Among his other conducting experience was directing the First Congregational Church of Greene choir, where he also led a three-octave bell choir, and the Tri-Town Ecumenical Choir. Rossi is a graduate of Colonie Central High School and Hartwick College, where he sang with the Hartwick College Choir and the Hartwick Chamber Choir. He has also sung with the Catskill Choral Society. Bradley Gregg is Mohawk Valley Chorus’ new accompanist, succeeding Alfred V. Fedak. 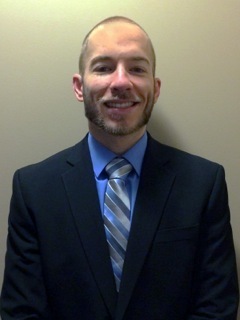 A newly appointed Galway Central School music teacher, assigned to the Joseph Henry Elementary School, Gregg has extensive teaching, performing, conducting and accompanist experience. Our new accompanist was graduated from the Crane School of Music at SUNY Potsdam and attained his master’s degree in music education at the College of Saint Rose. Before accepting the Galway position, he taught at Burnt Hills-Ballston Lake High School, in the Schenectady school district and at Scotia-Glenville. Gregg has also offered private piano and voice lessons and, for the past six years, has been organist and pianist at the West Charlton Presbyterian Church, where his father Thomas serves as pastor. Although young, he has done considerable theater work as well, both directing and accompanying for the likes of the Schenectady Light Opera Company, the Family Players of Northeastern New York and Rensselaer Polytechnic Institute. He has been an accompanist for Schenectady All-County and NYSSMA festivals for several years and even spent a year as a singing member of MVC some time ago. Gregg lives in Mechanicville with his fiancé, Jaclyn, and their corgi, Lola. Directed by Stephanie Boice, the ensembles include a saxophone ensemble, a mixed woodwind choir of flute, oboe and clarinets and a clarinet choir. Directed by Terrie Jackson and accompanied by Amanda Grab, this group is comprised of our youngest MVC members. Directed by Margaret Lazarou, the Chorale features students in middle or high school.